We have taken a leadership role in the development of harmonized industry guidance and standards for many years to ensure that our jewelry is made with integrity, and sourced from a supply chain that is held to a higher standard. As part of our Core Values we are always looking for ways to continuously improve and to do the right thing even when no one is looking. While the jewelry industry is associated with many celebratory moments, it is also connected to a complex supply chain filled with concerns about the origin of many materials – such as gold and diamonds. The industry as a whole has taken steps to improve the transparency and integrity of the jewelry supply chain. As the world’s largest retailer of diamond jewelry, we know we must lead by example. Our dedication to product integrity is at the core of how we do business. When a customer purchases jewelry from a Signet brand store, they assume that our jewelry has been sourced responsibly. When a customer asks a question about our sourcing practices, our Team Members have the information available to answer them. We are not only dedicated to our own supply chain, but are leading the efforts to foster increasingly transparent and responsible jewelry supply chains around the world. Signet Jewelers and our North American and UK operations (Signet) are fully committed to the responsible sourcing of our products and the respect of human rights, and we expect the same from our suppliers around the world. We continually strive to assure our customers, employees, investors and other stakeholders that our supply chain avoids action that may directly or indirectly finance armed conflict and serious human rights violations around the world including the Democratic Republic of Congo and its adjoining countries. Ensuring the integrity of the supply chain is an issue that affects the entire jewelry industry. Signet therefore believes it is often best to address the challenges through dedicated industry organizations. Signet is a Founding and Certified member of the Responsible Jewellery Council (RJC), an organization that is committed to promoting responsible ethical, human rights, social and environmental practices throughout the jewelry supply chain. As a Founding Member and active participant, we fully support the RJC’s membership Code of Practices and Chain of Custody standards. We are also members of Jewelers of America (JA) and the Jewelers Vigilance Committee (JVC). Please see our CSR Report for a detailed list. Signet is also active in cross-sector coalitions and working groups that reach beyond the jewelry industry to ensure that companies respect human rights and avoid contributing to armed conflict. Signet supports the Organisation for Economic Cooperation and Development (OECD) Due Diligence Guidance for Responsible Supply Chains of Minerals from Conflict-Affected and High-Risk Areas, the London Bullion Market Association (LBMA) Responsible Metals Standards, and the Dodd-Frank Wall Street Reform and Consumer Protection Act, Section 1502, relating to our supplies of gold. Throughout our supply chain, whether we are sourcing directly from mining companies, from the open market or buying from jewelry manufacturers, we have a rigorous due diligence process. Our verification process includes internal and third-party audits, as well as third-party verification such as RJC certification. Our Supplier Code of Conduct is included in our vendor-buyer agreement and sets out the Company’s expectations of suppliers to align with our responsible sourcing practices. We believe that a responsible, conflict-free supply chain is fundamental to the reputation of the jewelry industry as a whole and are committed to our efforts to advance responsible sourcing throughout the supply chain. Signet’s requirements for a responsible and conflict-free supply chain are defined in the Signet Responsible Sourcing Protocol (SRSP). To download a copy of the 2019 SRSP, please click here. We have taken an industry-leading role by establishing our Signet Responsible Sourcing Protocols for Gold, and for Tungsten, Tantalum and Tin (3Ts) which became company policy for all suppliers in 2013. We expanded the SRSPs in 2016 when we introduced our SRSP for Diamonds and again in 2017 when we introduced the SRSP for Silver and Platinum Group Metals (PGMs). By closely collaborating with key partners throughout our supply chain, we designed flexible and adaptable systems that raise the standard for responsibly sourcing raw materials in the jewelry supply chain. In 2019, the SRSP requirements for each mineral are incorporated into one Signet Responsible Sourcing Protocol which covers Signet’s general requirements. The specific guidance for each mineral (e.g., gold, 3Ts, diamonds, silver and PGMs) as well as for human rights are covered in dedicated appendices. Signet welcomes comments on the revised SRSP for 2019 by email at info@signetsrsp.com. The Protocol and its appendices are aligned with the Organisation for Economic Co-operation and Development (OECD), Due Diligence Guidance for Responsible Supply Chains and industry standards. The Protocol is verifiable by third-party audit. To download a full copy of the Signet SRSP Audit Guidance click here. Based on international standards and guidance, Signet conducted extensive research and consulted with many of our suppliers to develop the Signet Responsible Sourcing Protocol (“SRSP”). The purpose of the SRSP is to outline practical procedures that will reasonably ensure any gold, tin, tantalum, or tungsten, defined as “conflict minerals” by the OECD and the SEC, in products supplied to Signet are verified as responsibly sourced and conflict-free. The SRSPs for Gold and 3Ts were established as company policy effective January 1, 2013 and require all jewelry suppliers to report annually that products supplied to Signet are compliant with the SRSPs. These SRSP reports may be subject to third party audit. In 2016 Signet introduced the Signet Responsible Sourcing Protocol for Diamonds (D-SRSP) alongside existing SRSPs for Gold and 3Ts. The objective of the D-SRSP is to ensure that all Signet diamonds are responsibly sourced. The D-SRSP was based on the OECD Due Diligence Guidance for Responsible Supply Chains and builds on the Kimberley Process and the World Diamond Council System of Warranties. From 2017, all Signet diamond and diamond jewelry suppliers were required to have the appropriate policies, systems and processes in place to evidence compliance with the D-SRSP. The D-SRSP is now an annex to the SRSP since 2018. On September 29, 2016 the UK-based Retail Week trade magazine awarded Signet Jewelers the International Supply Chain Project of the Year. 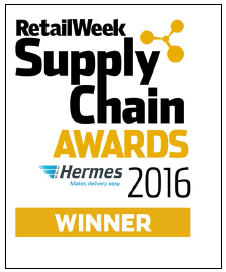 The Hermes Retail Week Supply Chain Awards 2016 recognized retailers, suppliers or individuals who are re-inventing all aspects of modern retail supply chains, from delivery and logistics, to technology and talent development. The honor was given for the creation and launch of the Signet Responsible Sourcing Protocol for Diamonds (D-SRSP), which provides increased transparency and further commitment to the continuous improvement in the integrity of the global diamond supply chain. In 2017 Signet introduced the Signet Responsible Sourcing Protocol for Silver and Platinum Group Metals (“PGMs”, namely platinum, palladium, rhodium, ruthenium, osmium and iridium) alongside existing SRSPs for Gold, 3Ts and Diamonds. The objective of the SRSP for Silver and PGMs is to ensure that all Signet precious metals are responsibly sourced. The SRSP annex for Silver and PGMs is consistent with the existing SRSP for Gold. During 2017 all Signet suppliers of silver and PGMs were expected to undertake due diligence on their supply chains to ensure they have the appropriate policies, systems and processes in place to evidence compliance by 2018. This requires sourcing though accredited refineries and other suppliers defined in the SRSP. All suppliers of silver and PGMs must report compliance with the SRSP requirements in 2019. As part of our commitment to ensure the integrity of all the primary metals and minerals in our supply chain, Signet launched the SRSP annex for Colored Gemstones in April 2019. In order to ensure its responsible sourcing policies are both robust and workable, Signet approached the development of the new colored gemstone section of the SRSP through collaborative engagement with key suppliers. The colored gemstone SRSP applies to all natural colored ruby, sapphire and emerald gemstones supplied to Signet. The SRSP also includes disclosure requirements for laboratory grown colored gemstones. The scope of the SRSP may be expanded in the future to include other natural gemstones. Schools are often far away from artisanal mining communities, so children miss out on formal education and may work in the mining fields. 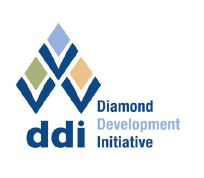 Through its “Sending Schools to Kids” initiative, the Diamond Development Initiative (DDI), an international non-profit organization focusing on the political, social and economic challenges facing the artisanal diamond mining sector, is sending schools to them, taking children from the mine to the classroom. DDI provides mobile facilities, portable materials and teachers to remote mining communities where education is not available. In 2016, Signet partnered with DDI to fund two mobile schools for mining communities in the Kasai Occidental province of the DRC. These schools provide customized education to 50 children who might otherwise be working in the mining fields. Students are provided with uniforms, school materials and daily meals. In 2015, Signet contributed funding to the Responsible Artisanal Gold Solutions Forum (RAGSF), a multistakeholder coalition including supply chain participants in the jewelry and electronics industries (refiners, manufacturers, distributors and retailers), governments, civil society, the OECD and industry organizations such as LBMA and RJC. RAGSF seeks to learn about, and address the critical barriers to the production and trade of artisanal gold from the Great Lakes Region in the DRC and establish transferable best practice for the artisanal industry internationally. RAGSF is under discussion with pilot sourcing projects to test and learn about responsible artisanal gold supply chains in the DRC, including adapting and implementing due diligence guidance. Signet is committed to helping ensure that gold from these projects can be part of Signet’s supply chain in the future. The Diamonds Do Good Initiative was created by the Diamond Empowerment Fund, of which Signet has been a long-time member and supporter. 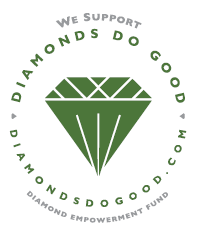 Signet supports the Diamond Empowerment Fund/Diamonds Do Good mission because it focuses on how diamonds enrich the lives of people in the communities all along the supply chain. In 2016, Signet implemented a program to raise awareness of the initiative by displaying the Diamonds Do Good seal in US stores as well as promoting the initiative via our Kay,Jared and Zales websites. UK gender pay reporting legislation requires employers with 250 or more employees to publish statutory calculations every year showing how large the average pay gap is between their male and female employees. The analysis is based on data as of 5th April each year. The gender pay gap shows the differences in the average (mean and median) earnings between men and women. This is different to equal pay. Equal pay requires that men and women who carry out the same jobs; or equivalent jobs, are paid the same. This Statement is published by each of the Signet UK Group companies in compliance with their duties under Schedule 19 of the Finance Act of 2016, for the financial year ending January 31, 2018. In May 2017, the EU passed “conflict minerals legislation” to ensure that minerals and metals exported to the EU do not contribute to conflict, that smelters and refiners in the EU and globally do not use raw materials from sources which may contribute to conflict, and that mine workers are not abused. The law also supports the development of local communities. The law requires EU companies to ensure they import these minerals and metals from responsible sources only. The law will be enforced from January 1, 2021 and Signet is confident that our already robust processes and procedures will ensure compliance with this legislation. Signet Jewelers Ltd expects its business suppliers to comply with the applicable laws and regulations of the United States and those of the respective country of manufacture or exportation. Per the California Transparency in Supply Chains Act of 2010 (SB 657), below consumers will find a disclosure of the efforts Signet is taking to address slavery and human trafficking in its direct supply chain. 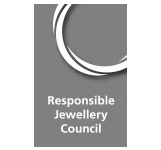 Many of Signet’s largest suppliers are certified members of the Responsible Jewellery Council (RJC), as Signet encourages all its suppliers to be. Suppliers that are certified RJC members receive scheduled audits by independent third party firms as part of a rigorous and fulsome RJC Code of Practices certification process. Significant suppliers that are not certified members of RJC are audited by independent third party firms that conduct audits that, while announced, are only announced with sufficient advance notice to permit access. In addition, for all suppliers, Purchase Order Terms and Conditions include statements regarding compliance with all laws. By agreeing to these terms and conditions, our suppliers confirm their understanding and agreement to these compliance standards. All Signet employees responsible for supply chain-related decisions and product purchasing are required to complete training and assessment programs that are geared to enhance their knowledge of various compliance matters. These programs will be supplemented in 2012 to include identifying and addressing human trafficking and slavery in Signet direct supply chains. Signet Jewelers Limited filed a “DRC Conflict Free” Conflict Minerals Report (“CMR”) with the U.S. Securities and Exchange Commission (“SEC”) as part of its Specialized Disclosure Report (“Form SD”) filed on May 31, 2017. Please follow this hyperlink to see Signet’s Form SD and the attached CMR. In accordance with Section 1502 of the Dodd-Frank Wall Street Reform and Consumer Protection Act of 2010 (“Dodd-Frank Act”), Signet filed a Form SD and an accompanying, independently audited CMR stating that Signet has determined that its jewelry and gift products containing gold, tin, tungsten, or tantalum (“3Ts”) are “DRC conflict-free” as defined by Section 1502 of the Dodd-Frank Act (which added a new Section 13(p) to the Securities Exchange Act of 1934) and Rule 13p-1 and Form SD promulgated by the SEC under this statute. The CMR states that through the exercise of due diligence, Signet has identified sources of gold and 3Ts in its supply chain which originated, or may have originated, in the Democratic Republic of the Congo and neighboring countries, and has determined that all of these sources qualify as DRC conflict-free for purposes of Section 1502 of the Dodd-Frank Act, the SEC’s rules thereunder and internationally recognized industry guidance and standards. Signet believes that a responsible, conflict-free supply chain is fundamental to the reputation of the jewelry industry, not just to Signet and is, therefore, committed to continuing our longstanding efforts to advance responsible sourcing throughout the jewelry industry supply chain. The cornerstone of compliance with the SRSPs is a requirement that suppliers report to Signet annually that they are sourcing materials supplied to Signet responsibly and in conformance with the requirements of all of the relevant SRSPs in their supply chains. Signet is a founding and certified member of the Responsible Jewellery Council (“RJC”), which is the global standard for responsible practices in the jewelry industry. Companies certified under the RJC’s Code of Practices are demonstrating their commitment to the reputation of the jewelry industry, which is fundamental to maintaining consumer confidence. As a result, and aligned with Signet’s dedication to the continuous improvement in the integrity of global jewelry supply chain, beginning January 31, 2017, Signet has made RJC membership and certification a requirement for all suppliers. As a clear benefit to our suppliers, RJC certification with the Signet Responsible Sourcing Protocols (“SRSPs”) as “Provenance Claims” gives Signet assurances about the responsible practices of each supplier company as well as confidence regarding responsible sourcing through each supplier’s supply chain, which is an important component of Signet’s supply chain due diligence and risk assessment. Suppliers which achieve this level of certification are not required to be audited separately by Signet. Any Signet supplier who is not yet a Certified RJC member with the SRSP as a Provenance Claim (see above) may be subject to an audit of their mandatory SRSP Compliance Report by an independent third party audit firm. Audits are conducted on a 3-year rotational basis and Signet Suppliers are responsible for the expense of an audit.